Never Give Up: Saint James the Apostle: A Model For Today? "King Herod laid hands upon some members of the church to harm them. He had James, the brother of John, killed by the sword" (Acts 12:2). Today is the Feast of Saint James the Apostle, the first of the Twelve to be martyred. 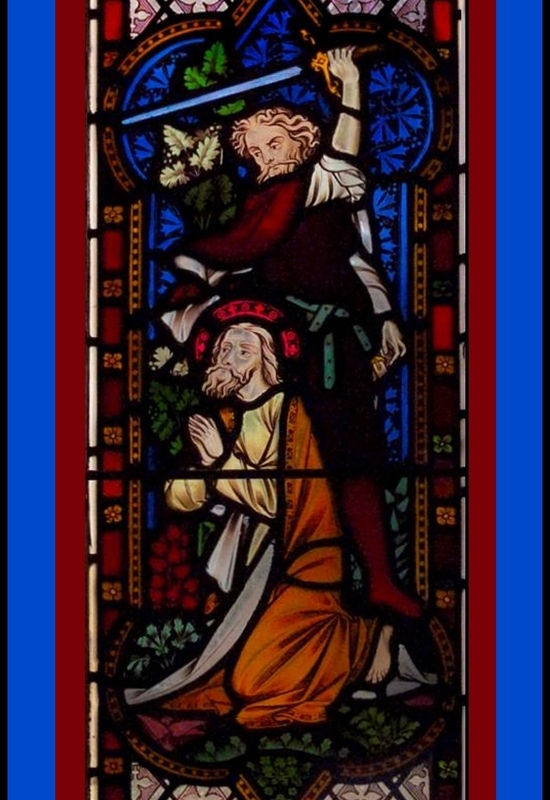 The iconic imagery of the martyrdom of Saint James (who was beheaded around 44 a.d.) is from a window in Lancaster (Catholic) Cathedral in England. As I pondered this image, I thought, "Hey... this looks familiar. Haven't I seen images like this recently in the news?" Indeed, I have. Two thousand years later, Christians are still getting their heads cut off for adhering to Jesus Christ. 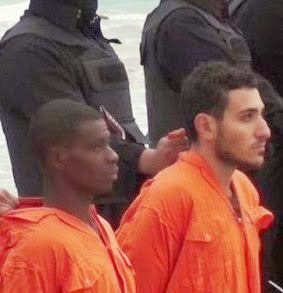 Look, Saint James even happens to have an orange robe in the stained glass window above, not unlike the orange jump suits of these Eygptian Christians from a few months ago. All James's killer needs is a mask, and he could pass for an ISIS executioner. The blood of Saint James was the seed of the Church, and so too will be the blood of the martyrs of the 21st century.